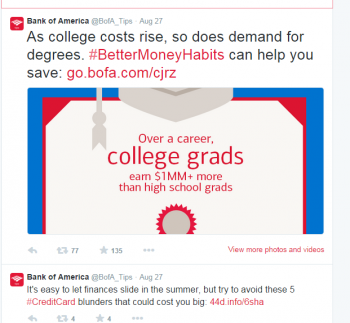 Will infographics help financial services firms break into social media? 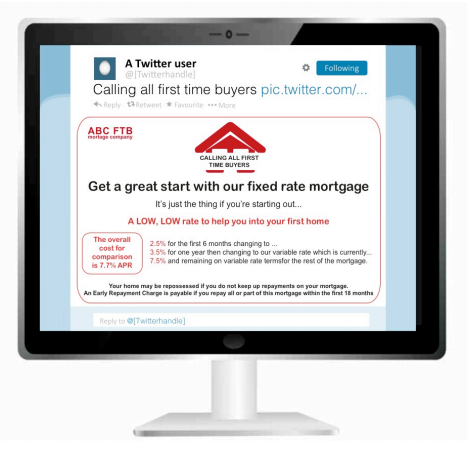 Social media marketing can be challenging for the financial services industry. Requirements that any social content from financial services firms must equally express the benefits and risks of solutions makes Twitter marketing and other character-restricted posts difficult. But this year’s guidance from the U.K.’s Financial Conduit Authority (FCA) presents a potential answer for brands abroad and in the U.S. – infographic content. “One possible solution to the problem of character limitation is to insert images, including the use of infographics, into communications such as Tweets,” suggests the FCA’s Guidance Consultation “Social media and customer communications” report. Put simply, the amount of information financial services firms are required to put in social content to be considered ‘compliant’ can be included in a custom graphic or info image, but they probably wouldn’t fit in a Tweet. Because Twitter now shows full images directly in News Feeds, marketers in this industry could share graphics on sites like Twitter, Pinterest or Facebook when they are running a promotion or sharing data. Infographics and info-stats are a viable solution for companies that want to share valuable information online and grow their brand’s digital footprints, but also need to be transparent and include a lot of fine print. In fact, the Brunswick Group reported 70 percent of investors expect digital media to have a growing influence on the field in the future. Visual content is great a great idea for firms that have been wading carefully into the social media waters, where 74 percent of Americans are active. Brafton recently covered a study that found using infographics as featured images can boost engagement and reach two to three times. It’s smart to consider how custom infographics can help them break into the realm, delivering valuable information to online audiences that love real-time information and interesting visuals. Looking for more inspiration? Check out our graphic about why looks matter.